* The Britains Big Farm Land Rover Defender pickup is your farm's most reliable workhorse! 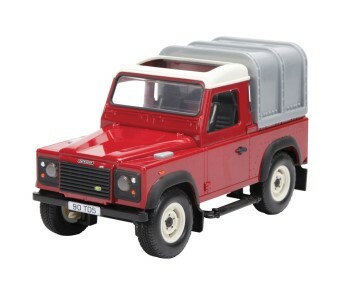 * It features a tow hitch, realistic lights and sounds, a detachable canopy and a drop-down tail gate for easy loading. * 3 x AAA batteries included. Dimensions (L x W x H): 260 x 110 x 150mm. * Suitable for young farmers aged 3-8 years.